"E" is a dynamite trio record featuring bassist Jonas Hellborg, Jens Johansson (keyboard) and Anders Johansson (drums). All three are master musicians, and to hear Hellborg in this context will likely blow you away. 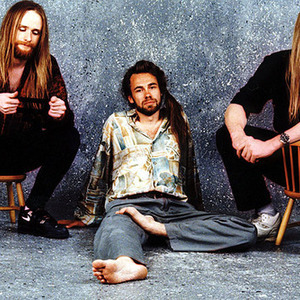 Jonas, Jens and Anders grew up very close to each other and although being aware of each other's talent and existence never had a chance to play together until after Jonas stint with Mahavishnu and Jens and Anders legendary work with Yngwie Malmsteen. Moving to New York at roughly the same time the 3 had ample time to work together on a number of Hellborg time signature compositions, inspired equally by Indian rhythm metrics and the works of Bela Bartok. After a tour the three settled in to the newly opened Greenpoint complex and recorded ?E? as a document to this very creative period before Jens set of to join ?Dio? and Anders ?Blue Murder?. Originally released in 1994, it's a little hard to get a hold of, but well worth it for bass fans (the drumming is also top-notch; plenty of double bass fusion licks). If you play guitar, this one is a fun one to jam along to as well.